Drivers unimpressed by Labor Court order to return to work, receive sick leave from doctors. Train service was severely disrupted Thursday, despite Labor Court orders to drivers to return to work. Dozens of drivers had called in sick, a part of an informal protest against working conditions. The Court ordered the drivers to resume normal operation of the trains, unless they produced letters from doctors that confirm they are sick. Unfazed by the order, the drivers received medical approvals for their alleged illnesses and continued the work stoppage. 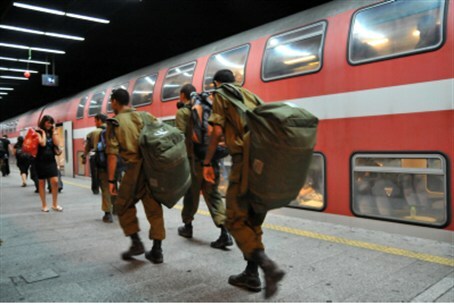 The train schedule began to be severly disrupted in the afternoon, because with many soldiers going home from their bases, more trains run on Thursday evening than on normal days, and more drivers are needed. Sixteen trains to and from Akko and Haifa were cancelled. On the Tel Aviv – Be'er Sheva line, only one train was operating at times when two normally operate. The number of trains that run between Hod Hasharon, Rishon Letzion and Ashkelon was also limited, and express trains were told to stop at all the stations on their routes. The 4:58 p.m. fast train from Tel Aviv to Modiin was cancelled and other trains shortened their routes.